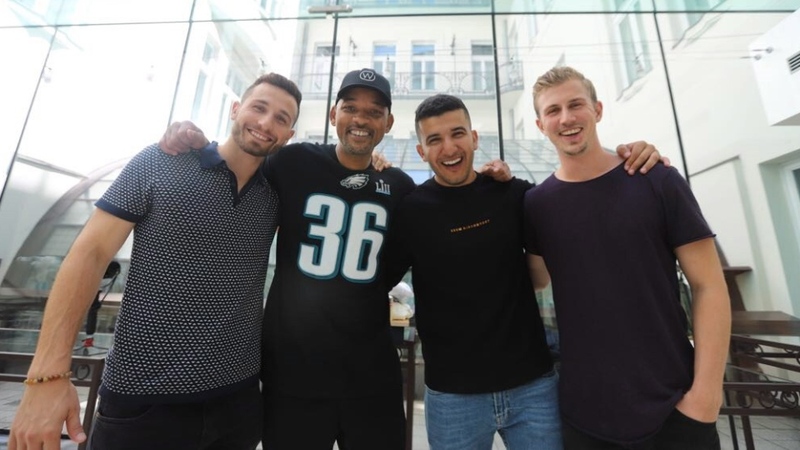 TORONTO -- Watching as Will Smith dangled off the side of a helicopter, moments before he bungee jumped into an Arizona canyon, YouTuber Matt Dajer felt a crippling sense of responsibility. 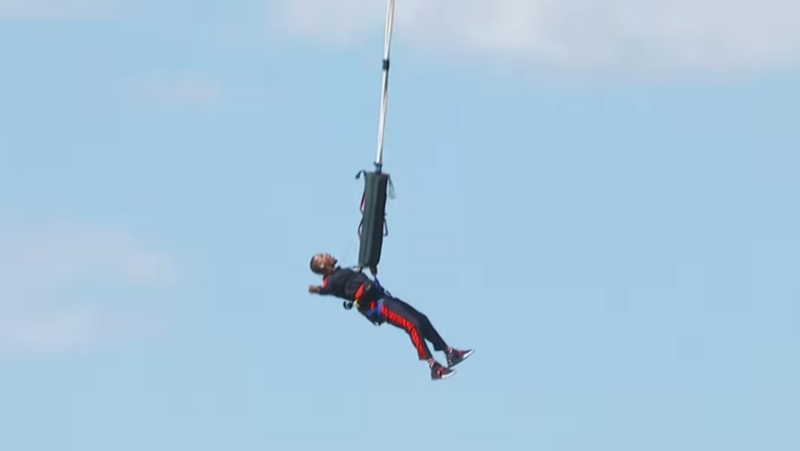 One of Hollywood's biggest stars had risen to a "heli-bungee" challenge presented to him by Dajer and his friends at the Yes Theory channel. Now, as Smith looked danger in the face, the YouTubers who met at Montreal's McGill University were standing alongside his family at a nearby vantage point, hoping nothing went awry on the live broadcast. "There's always that one per cent doubt in your head where you're like, 'Oh my, if anything goes wrong our careers are over,"' said Dajer. "We'll be the guys that did this to Will Smith." Six months of planning brought Yes Theory on Tuesday to one of the most significant crossovers between internet stars and Hollywood celebrities yet. Already the video has drawn millions of views and massive social media interaction. Timed for Smith's 50th birthday, a massive production crew lugged their cameras and equipment to a small gorge on the Navajo Nation, not far from Grand Canyon National Park. The sheer size of the spectacle left the guys in Yes Theory stunned. "We showed up and it was just packed," Dajer said. "The only thing I could keep thinking about was where we started from and how far we came -- all just from a random challenge we put up on the internet." Yes Theory formed several years ago when four friends -- Dajer, Thomas Brag, Ammar Kandil, and occasional contributor Derin Emre -- met as international students at McGill in Montreal. They used the city as ground zero for a 30-day video challenge where they conquered 30 events that pushed them outside their comfort zones. The series became an online success in 2015 and led them to form a channel focused on inspiring others to personally grow while tackling their fears. Earlier this year, they made an online pitch to Smith, saying they would be willing to bungee jump from a helicopter alongside him. Their fans flooded the actor's Instagram account with messages encouraging him to accept the proposal. But the group was surprised when Smith actually said yes, and then planned a huge YouTube event surrounding the moment. Yes Theory member Kandil bungee jumped separately from Smith due to safety issues, Dajer said. It too was captured on video earlier the same day and will appear online. That didn't make it any easier watching the star of "Men in Black" and "The Fresh Prince of Bel-Air" as he was lifted into the throes of danger, Dajer said. "Seeing him up there was terrifying," he added. "But the second he landed it was pure bliss, pure joy." As of Wednesday afternoon, less than 24 hours after Smith's dizzying adventure, the clip had already pulled in more than 9.2 million views on YouTube. 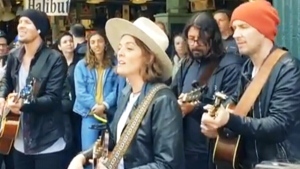 Other moments from the live webcast, including a reaction video and celebrity birthday wishes, attracted hundreds of thousands more views. After Smith returned to solid ground he celebrated the bungee jumping achievement with the members of Yes Theory and offered some advice. His main message was to live life to its fullest, and stick with the goals you set out for yourself, said Dajer. "Whether it's a girl you're really in love with or a business you want to start, you've just got to commit, jump in," he remembers Smith saying. "Invest that money, invest that time. He was just pushing that message of commitment." Looking ahead, Dajer said he's fully dedicated to what's next for Yes Theory's YouTube channel. 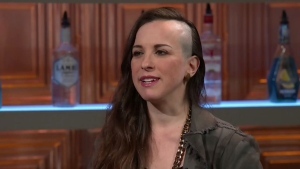 Aside from their regular videos, they plan to challenge another celebrity to a harrowing feat. "I think we have a good one that is, I would say, on the level of Will Smith," he said. "It's not an actor and it's not who I think you'd expect."